Here at Michell Bearings, engineering is at the heart of our business. Our reputation for brand excellence, quality and innovation is driven through the success of our career development framework. Please click on the vacancies to find out more or visit our parent company British Engines website to look at vacancies throughout the group. Our apprenticeship programme has been developed over many years. Our aim is to help young people experience and develop a successful career in engineering and in doing so, grow innovative, talented and skilled people in our business. 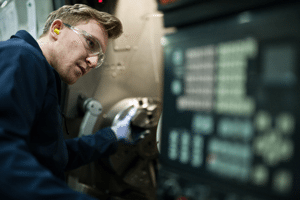 Through the apprenticeship programme, we have supported and developed a pipeline for the engineering community for over 100 years, many of whom have gone on to enjoy lengthy careers here at Michell Bearings.